Mammography is a specific type of breast imaging that uses low-dose x-rays to detect cancer early—before women experience symptoms—when it is most treatable. Mammography plays a central part in the early detection of breast cancers because it can show changes in the breast up to two years before you or your physician can feel them. The American Medical Association (AMA) and the American College of Radiology (ACR) recommend annual mammograms for women over 40. The National Cancer Institute (NCI) adds that women who have a personal or family history of breast cancer should talk to their doctor about when they should begin screening. Breast Imaging also includes other modalities such as ultrasound and MRI to allow for better detection and characterization of cancers. These have specific roles in the workup of breast findings and lesions. Breast tomosynthesis, also known as 3D mammography, is a recently developed type of breast imaging which goes beyond traditional mammograms to provide more detailed evaluation of the breast. 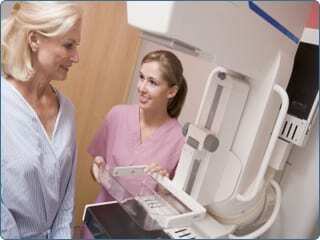 This has been shown to increase the sensitivity of mammography studies and decrease the number of false positives. Once a lesion is found that cannot be ruled benign, a breast biopsy is required to obtain samples for analysis by pathologists to determine whether it is a cancer. Because most of these lesions are small at the time of detection, imaging guidance is necessary to ensure proper sampling. Biopsies may be performed under ultrasound guidance, x-ray guidance (stereotactic biopsy), or MRI guidance. Skagit Radiology is proud to partner with Skagit Valley Hospital to provide superior breast imaging at the Breast Care Center. Please contact the Breast Care Center at 360-428-7270 to schedule a mammogram.